In the audio you can hear how changing a string to a guitar sounds. 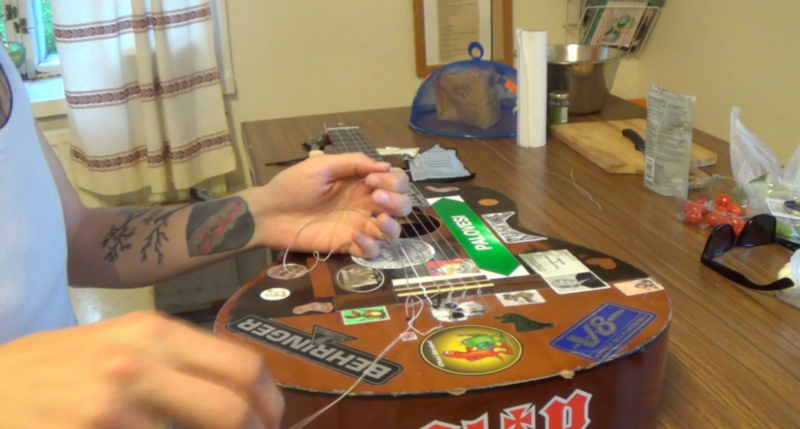 First removing the old string and after that installing a new one and tuning it to right pitch. The guitar in the recording is a nylon string classical acoustic guitar.